One of the most interesting legislative races this year is happening in the 32nd legislative district Senate race. 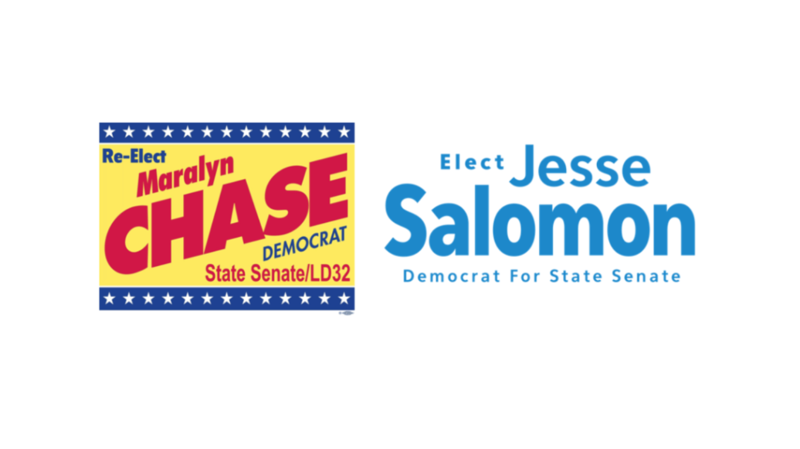 Incumbent Maralyn Chase is facing challenger Jesse Salomon. Both candidates are progressive Democrats. The policy divisions between the two are largely nuanced rather than stark. They are both solidly pro-choice. They are both strong environmental votes. They both consider themselves to be good supporters of organized labor. Where the divides fall in this race is on personality and the ability to work with others to push a progressive agenda. For example, check out how the two incumbent House members in the 32nd are approaching this race. I’m supporting Jesse because unlike the incumbent, he will listen to the people and be responsive to their needs. It’s time for a new generation of leaders. I am supporting Jesse because he understands we must invest in early education to better prepare our children for the jobs of the future. Let’s be honest: there are very any examples in the last few decades of incumbent House members lining up against an incumbent Senator in an intra-party fight. 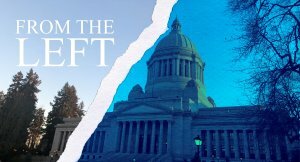 It hardly ever happens absent a significant ethical lapse (see David Sawyer in Pierce County) or where a member of one party has flipped to caucus with the other party. In fact, one of the only episodes I can recall also occurred in the 32nd. It took place in 1998 when challenger Carolyn Edmonds took on incumbent Patty Butler for a House seat. 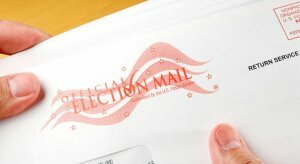 Edmonds won by 14 votes in a tight primary. It turns out Kagi and Ryu aren’t alone. Salomon has also been endorsed by the Democratic candidate running to replace Kagi, who is retiring: Lauren Davis. I’m supporting Jesse because he has been a strong and constructive partner on many issues and because I know he is someone who will make real change in Olympia. Shoreline is the largest city the 32nd. Shoreline Mayor Will Hall has also endorsed Salomon, along with the mayors of Lynnwood, Edmonds, Woodway and Mukilteo. So too have the Seattle Times, Everett Herald and the Stranger – an uncommon combination of media view points. Now, to be clear, Chase has her list of enthusiastic supporters too. They include a long list of Senators, county council members and other civic leaders. She has the support of a number of progressive organizations and the confidence of a number of colleagues that have had the chance to work with her. However, it is an uncommon division that the incumbent officials in the 32nd that have worked most closely with Chase are lining up in support of her opposition. This is something that is simply unheard of within the orthodoxy of caucus politics in Olympia, on both sides of the aisle. 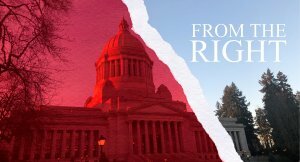 It also represents one of the biggest concerns of most Democrats and Republicans in Olympia these days: getting primaried. Most seats are relatively safe seats from a partisan perspective. So the question is whether someone will rise up to challenge legislators from within their own party. Traditionally, caucuses will defend their members against primaries by spending significant dollars to protect them. This is true against other party candidates, but it’s also typically true against challenges from within the party. That doesn’t appear to be happening in this race. Sen. Chase has only raised $74,697.53, much of which has come from PACs, corporations or unions. There are only a few individual donors of much significance. The caucus has only given her $2000. No independent expenditures on Chase’s behalf from the caucus have yet been reported. By comparison, Salomon has raised $135,760.57, including $2,000 from Ruth Kagi. This suggests that the Senate Democrats may be focusing resources on picking up seats in Republican-held districts rather than defending an incumbent member against a challenger that will vote largely the same way on most issues. This may be a one-off race. We may not see an intra-party contest quite like this one for another 20 years. But, it’s also possible that the Salomon campaign is showing how you beat an incumbent in an intra-party contest in Washington’s top two primary: work hard, raise money, pull in institutional Democratic endorsements, and hope to neutralize caucus dollars. This race might be writing the book on how to primary an incumbent legislator.